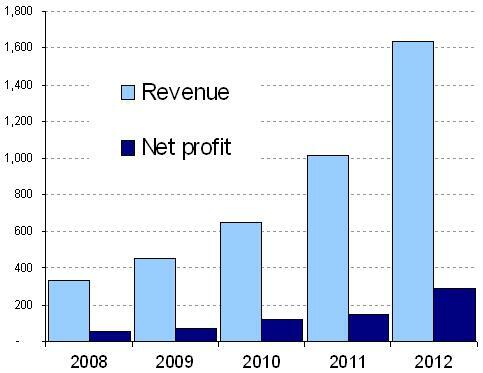 Take a look at this graph, it shows the profits of Sino Grandness Food Industry Group Ltd (SOGF.SI) over the last few years. It doesn’t win any prizes for catchy names, but definitely does for strong growth! If I told you that this was selling at a P/E ratio of 6.7, your first reaction would probably be “what’s wrong with it?” Companies with this sort of growth record just don’t sell for a P/E ratio of 6.7 unless there is something serious overhanging the stock. Well the fact is, there is something, but it isn’t that bad and it’s just a ‘what if’ rather than something that’s actually happening. Sino Grandness is an integrated manufacturer and distributor of canned fruits and vegetables as well as bottled juices. Since its establishment in 1997, the Group has rapidly grown to become one of the leading exporters of canned asparagus, long beans and mushrooms from China. The Group serves globally renowned customers across Europe, North America and Asia, such as Lidl, Rewe, Carrefour, Walmart, Huepeden, Coles and Metro. It is currently the only brand to sell this, which gives it big margins and returns on investment of 30%. The cautious among you will rightly be wary at this. Barriers to entry are low, and high margins can soon be eroded by competitors entering the market. But there is a chance that it can build a brand presence that justifies a premium to other brands. Loquat fruit juice also can have a wider range of flavours than other fruits which gives them scope for winning over customers. Huang Yupeng is the Chairman and CEO of the company and has a 40% shareholding. His actions appear to me to be very positive and consistent with someone striving to maximise returns for the company and its shareholders. In 2008 he and another board member gave Sino a RMB 43m interest free loan, which was only repaid in 2012. In 2012 he also personally guaranteed Sino’s RMB 44m in bank loans. This is the action of a man that believes in a company and is willing to selflessly put his own money in to make it succeed, and is very rare for a CEO. I won’t show the latest financials in a table as there is nothing in particular I want to point out, but I have uploaded their 2012 report so you can view them in full. I do however want to show the 2010 income statement, as in this year the Garden Fresh business did not exist so we can see profit margins from the remaining business. They are 20% (before tax) compared to 25% in 2012. (I’ll explain why this is important later). So why the low PE? Well there is a catch, as there always is with low PE ratios. This is in the form of the zero coupon convertible bonds they issued in 2011 and 2012. Goldman Sachs was the buyer in 2012 and not surprisingly got some very attractive terms on these bonds. Good for them, not so good for shareholders. The downside to this business at the moment, in its high growth phase, is that it devours cash at a monstrous rate. Cash from operations is only a fraction of profits as cash is reinvested into working capital to fuel its phenomenal growth. Capital spending was RMB 174m in 2012 and this is funded mostly through debt. They also did a rights issue in 2013 to continue funding expansion. I am usually put off by debt but in this case I can see why management is using it in order to increase growth. It has an advantage here in being the early mover in a market. It currently has no competition and the more people that it can convert to its brand now, the larger its competitive advantage will be. The levels of debt are still modest compared to profits, but it is the terms of the convertible bonds which are problematic. Both the convertible bond issues were made by the subsidiary Garden Fresh, not the Company itself. They contain terms which require Garden Fresh to be listed on the Hong Kong Stock Exchange by 2015. It is then that the bonds can be converted to shares of Garden Fresh. Garden Fresh makes up 60% of Sino’s gross profit, so we have a major dilution in the profits of both coming up in the future. Not only that but if the IPO on HKSE doesn’t happen, then it faces substantial penalties. It isn’t possible to calculate these explicitly, but at a rough estimate I make out these could be up to 4 times the face value of the bonds. That is RMB 1.5 billion, or about 5x 2012 profits. This payout would almost certainly need to be funded by the issuance of more debt. But on the positive side, with high growth in profits this could be a relatively smaller payout by 2015, when the bonds mature. In the event that the IPO does go through, the bonds are converted to equity in Garden Fresh, up to a maximum of a 49.9% holding. 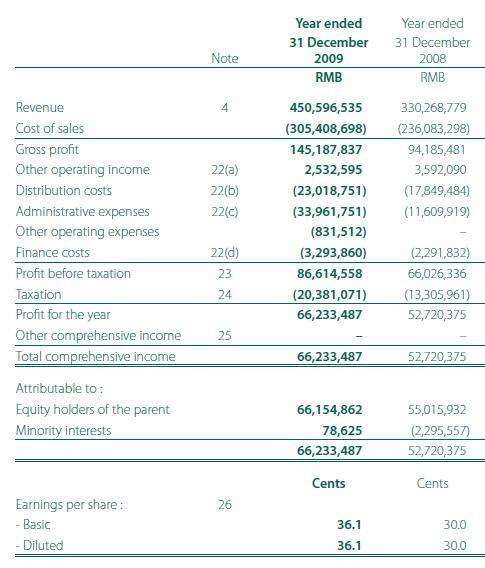 Sino’s latest annual report doesn’t state net profits for Garden Fresh, but if we assume the rest of the business has profit margins of 20% before tax (as in 2010) then I calculate that Garden Fresh had 2012 profit of RMB 245m before tax, hence this dilution would reduce 2012 earnings by 30%. That still puts Sino on a P/E ratio of 9.4 today, plus shareholders get to keep those extra profits up to the IPO. This certainly is an exciting opportunity for an investment in a high growth business, but has nothing like the protected downside I usually seek (like the protection I got from my Outdoor Channel investment). If things start to go bad for this company then it could initiate a chain reaction. Profits would fall, the IPO of Garden Fresh could then fail and Sino would be forced to take on over a billion in debt (if it could even find someone to loan it the money!) to pay off its current creditors. But this is just ‘what if’ I could think the same for any company I hold in my portfolio. If I focused on what if’s I wouldn’t be investing in shares at all! I can’t help but focus on the upside in this equation. What if revenue growth from 2012 continues, and what if it becomes a huge brand in China? 10 years ago a herbal drinks seller started in China in a similar way. 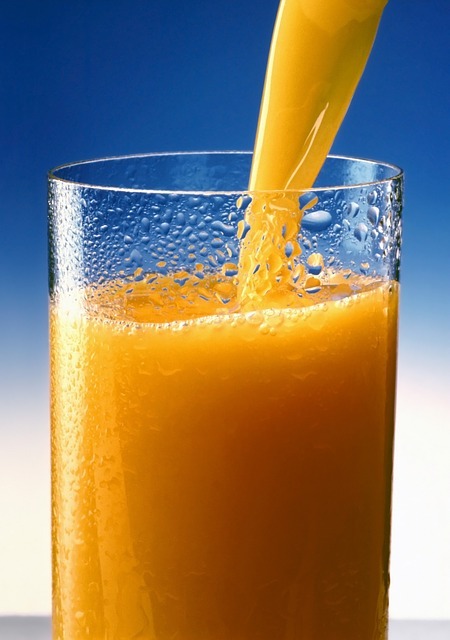 Today, these drinks outsell Coca Cola and the company makes billions in revenue. Could Garden Fresh do the same? Plus the Chairman and CEO has a huge stake in the company and is personally backing it with his own money. He stands to lose more than anyone yet he continues to guarantee Sino’s bank loans. He must have confidence in the company and success of the IPO. He’s also the person best placed to make this judgement. And I haven’t even given much consideration to the rest of the business, which earns outstanding returns on equity and margins also, and sells to the biggest retailers outside of the China, such as Walmart, also growing too. Take a look at the segment breakdown below. The low barriers to entry in the market really worry me, but I can’t help but feel that this situation gives investors a skewed risk/reward opportunity here. If things just carry on as they have been then this investment will make a lot, I’d be very disappointed with even a 2 bagger! The downside is at least limited to 100%. I can’t put anything like a precise figure on their value until the convertible bond issue is over, but that doesn’t mean I can’t see it is undervalued. Its definitely too risky to make this a large portfolio holding due to the chance of the IPO failing, but my gut tells me not to miss out on this. I’m currently moving broker so can’t buy shares, but when that’s done I will put about 5% of portfolio in this. See my follow up post on this, I changed my opinion on this stock and no longer plan to hold it. Well, post has some valid points but it raises also so many questions that i have doubts myself. For example: as author is stating :racism in L2D2 is not element of the game itself but comes from sosacl,hictoriail and cultural context. I think that developers (valve) should have known better if they don’t choose a fantasy setting for their game but on the other hand this concept of racism leavs no room for falsification which is for many hardly intelctually acceptable. Studying the last couple of quarterly results of Sino Grandness raises questions which I would like to share with you hoping that you might have found some satisfying answers (apparently no analyst picked up on those). Even though the revenue stream has steadily increased, the even higher increase of “Trade and Receivable “suggests that the company seems to either give longer and longer payment terms or simply has problems to collect outstanding payments. Do I miss something here or does it not look very much like window dressing in order to book nice revenues by overlooking the need of collecting payments? That is a big red flag. They could be making it look better for the IPO of Garden Fresh. I am glad I didn’t invest in this afterall. Sino Grandness website also appears to have gone down.